Other than landscaping or maybe a new driveway, there is not much that the local planning departments allow when it comes to home improvements at the front of a property. That’s probably why adding a porch is quite a popular solution. 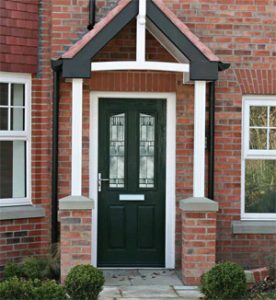 UPVC porches can not only add some great visual appeal, but also help with stopping draughts coming in through the front door. 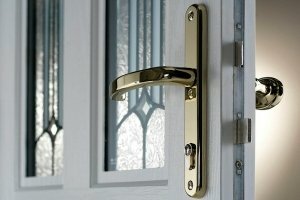 The extra door also means you have more security – 2 doors are better than one! There are a quite a few options when it comes to the type of porch you can build. Here we look at a few of the most popular. Basically, we are referring to a new porch that extends outwards from the property. Where there was no construction beforehand. Consisting of a new base, walls and roofing, this is probably what most folks picture in their mind when thinking about a porch. Broadly there are 2 main types of UPVC porches. Those with floor to ceiling glass sides and those that incorporate some form of solid walling. The solid elements can usually be seen as dwarf walls or pillars. Both of these can feature either pitched or flat roofing. 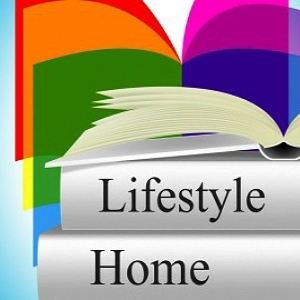 Effectively, you are adding a new room to the property, albeit quite a small one. As you can see from the images above, there is plenty of design freedom to be had. You can go simple, with plain glass sides, alternatively, you could give your home a “period feel” by using mullioned windows with Georgian bars. 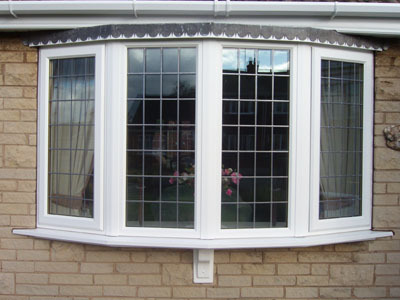 Solid UPVC panels are effective for creating privacy if required. In this instance, we are looking at a situation where the property has some sort of alcove or covered entrance already in place. It’s just a matter of simply closing the space off. 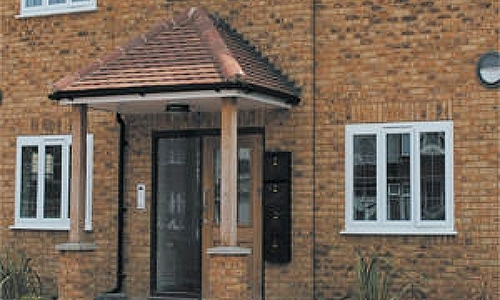 The image on the right is a good example of this type of “infill” porch. 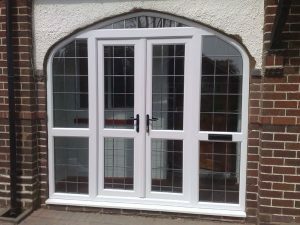 As you can see, this was done quite easily with a set of French doors with side panels. The work would not take long to complete and has a much lower cost than building a freestanding porch from scratch. Really acting as a shelter from rain, some canopies can be quite ornate. Using side pillars or posts can add a lot of character to a canopy. Clearly, a simple overhead canopy to provide some weather protection is going to be the least costly. If you fancy something a bit more substantial, then the image on the left is a good example of a canopy porch with character & style. Well, as you might expect, the UPVC porches prices are dependent on what you are building. If you are going for a fancy free standing example that needs a new base & roof, you could end up paying around £2,000 to £3,000 for a 3m2 sized porch. Simpler glass sided porches with a flat roof can cost around £1,500. 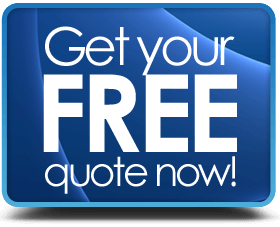 Best thing to do is get a selection of quotes from a few installers to be able to judge market prices better. 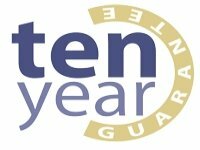 As with any home improvement that potentially needs planning permission, it is recommended to consult with your local planning authority before starting any work.